According to VSAG, an international consulting group in the hospitality industry, investing $200,000 in a restaurant patio will give the restaurant a return of $500,000 in seasonal sales. Therefore, it makes good business sense to invest in al fresco dining space for your restaurant. Are you trying to make more money from your outdoor seating space? You may be tempted to cram as many chairs and tables into the space as possible. More seating means more revenue right? Not necessarily. If the customers feel like they are crammed into a small space, they are likely to take their business elsewhere. Ensure that your patrons have enough space to maneuver comfortably without knocking each other. Your staff should also be able to get around in the space comfortably even during rush hours. While it may seem like common sense, not many restaurant managers provide protection for their al fresco diners from the rain and the sun. While dining out in the open allows your diners to enjoy the warm sunshine, it exposes them to harsh UV rays and rain. It’s important to provide some sort of shade. This can be in the form of a retractable canopy, awning or a permanent roof. It’s important to provide diners with comfort both inside and outside your restaurant. 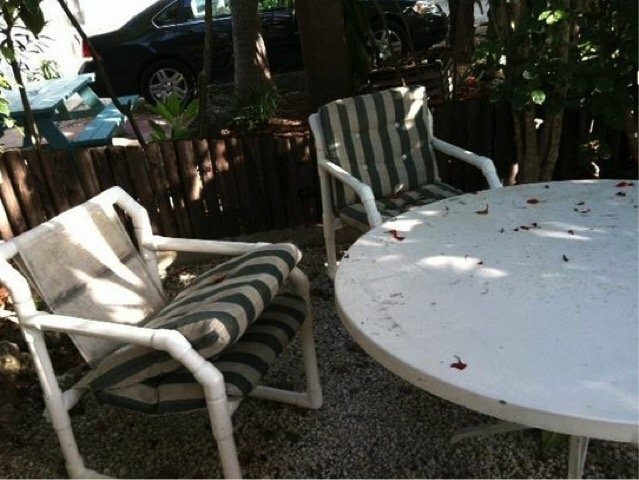 It’s important to invest in weather resistant patio furniture.This ensures that the furniture can withstand the harsh conditions of the weather and still provide comfort for your diners. Guests won’t enjoy swatting flies or mosquitos as they try to enjoy a meal and conversation. Bugs are especially common on warm days when many people would like to eat outside. Ensure that you keep bugs away from your guests by investing in bug zappers and repellants. Avoid using chemicals that may be harmful especially when they get into the meals you serve your customers. Dining outside doesn’t have to mean being exposed to the elements. If your guests are exposed to strong winds, the chill or extreme heat, they’re likely to prefer to take their business to a more comfortable restaurant. Just as you would be concerned about the conditions of the internal environment of your restaurant, so should you be concerned about the outside seating area. A case study showed that installing heating in a restaurant patio can increase seating and thus increase revenue. It’s also important to include a cooling system, such as fans for extremely hot days. Screens and barriers can help to protect patrons from chilly breezes.